Biography Synopsis: All female sextet comprising Rose Pressley, Willie Pressley, Joenida Eley, Hattie Eley, Grace Eley, and Jessie Eley. 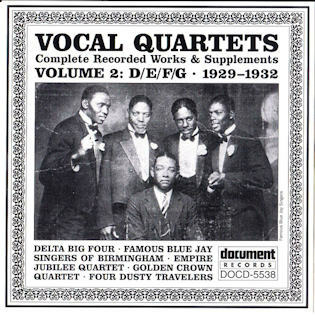 Biography Synopsis: Formed in 1936 comprising: Maggie Cannone, Mildred Blair, Agnes Jackson, Etta Mae Hurd, Senester Whatley, and Edith Jones.”The Elite Jewels were organized in Cleveland, Ohio in 1936 by Mrs. Etta Mae Hurd, Ms. Johnnie Mae Feagen and Mr. Leroy Gaynot. The group’s talent to sing was soon discovered by many of Cleveland’s finest musicians and directors and shortly thereafter they were nicknamed the “Songbirds of the North”. Since 1948, the Elite Jewels have had their own weekly Radio broadcast in Cleveland. The Elite Jewels have performed with many of the greatest singers in the country such as, The Caravans, Shirley Caesar, Inez Andrews, The Gospel Harmonettes, and the late Reverend James Cleveland and many more. 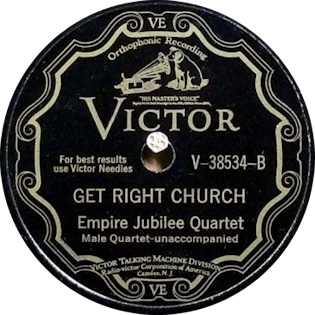 The Elite Jewels have recorded with five major recording companies: Palada, Peacock, Simpson, Songbird, and Savory Records, and more recently with Trinity Record Company, Inc.”. 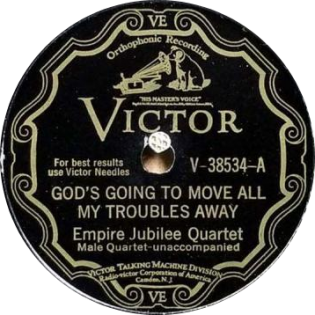 Aka: Coined as the King Recording Label’s “Gospel Ranger” of the Appalachian Mountains. Location: Ely pastored various churches in Kentucky, Virginia and the Cincinnati, Ohio area. Born: 22nd July 1922, Pucketts Creek, Virginia. Biography Synopsis: Brother Claude Daniel Ely, coined as the King Recording Label’s “Gospel Ranger” of the Appalachian Mountains, was born in Pucketts Creek, Virginia. He was the first Pentecostal Holiness recording artist to be signed to a major recording label for strictly sacred music and songs. Receiving fame for his penned song, “There Ain’t No Grave (Gonna Hold My Body Down)”, Ely’s musical style and spiritual influence still exist today among both secular and sacred music enthusiasts. 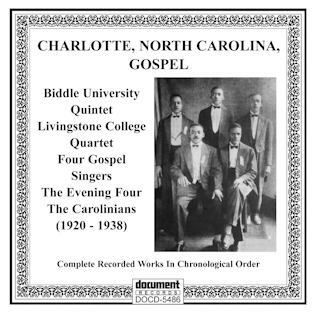 Although Bozie Sturdivant was the first to record Brother Claude Ely’s tune in 1941 with the help of the US Library of Congress’ field recordings, Ely had penned the song in 1934. King Records of Cincinnati helped Brother Claude Ely copyright the song in 1953. Many Hollywood entertainers and musical artists have acknowledged their admiration and fascination for Brother Claude Ely. Often music historians attest that other musical artists cite Brother Claude Ely as having been a positive influence on their works as well. Elvis’ mother Gladys brought Elvis Presley to Ely’s tent revivals. Artists recording Brother Claude Ely’s songs include Elvis Presley and Johnny Cash. Robert Duvall’s self-produced movie entitled The Apostle also integrated Brother Claude Ely’s music on its soundtrack. Ely pastored various churches in Kentucky, Virginia and the Cincinnati, Ohio area. Ely also hosted a radio program entitled “The Gospel Ranger Show” which aired across the southeastern portion of the United States. Many of Ely’s religious followers and numerous admirers still exist today in the Appalachian mountains. Ely’s great nephew, Dr. Macel Ely II, wrote an official biography on Brother Claude Ely’s life. 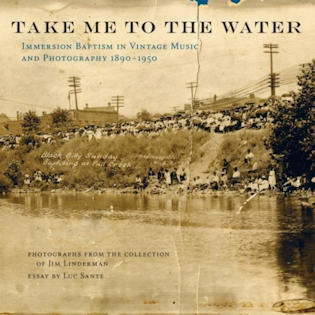 The book is based upon oral history ascertained from over 1,000 personal interviews Dr. Ely conducted with musical artists, ministers, and Appalachian residents who remembered the singer/preacher. The book is a “set” consisting of the earlier mentioned book and a music CD. The set is entitled Ain’t No Grave: The Life & Legacy of Brother Claude Ely was released in 2010 by Dust-to-Digital out of Atlanta, Georgia. Biography Synopsis: A short lived group from Spartanburg, NC.